These are among the most basic garments of India, a land of staggering diversity of peoples and dress. Men in all walks of life and for all occasions wear the Kurta shirt in fabrics ranging from lawn to silks in all weights. 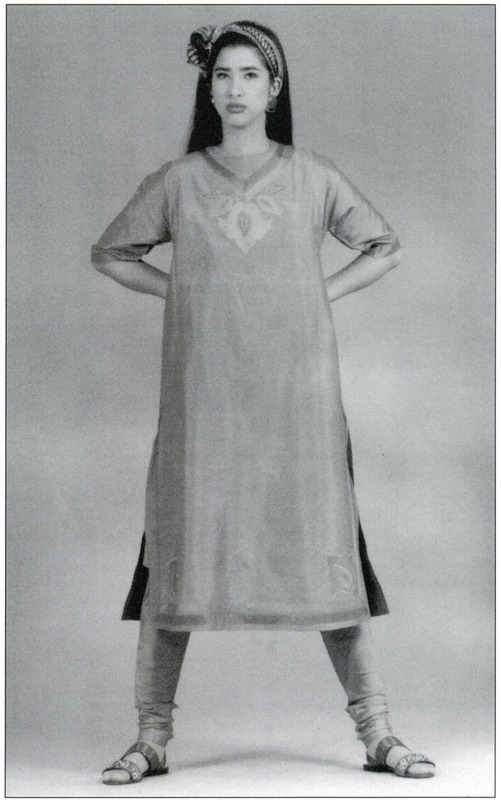 The Kamiz tunic is orn by women in northern India over narrow Churidar pands. Since 1947, when Indian became independent, the "Gandhi cap" has been an important accessory of national dress. 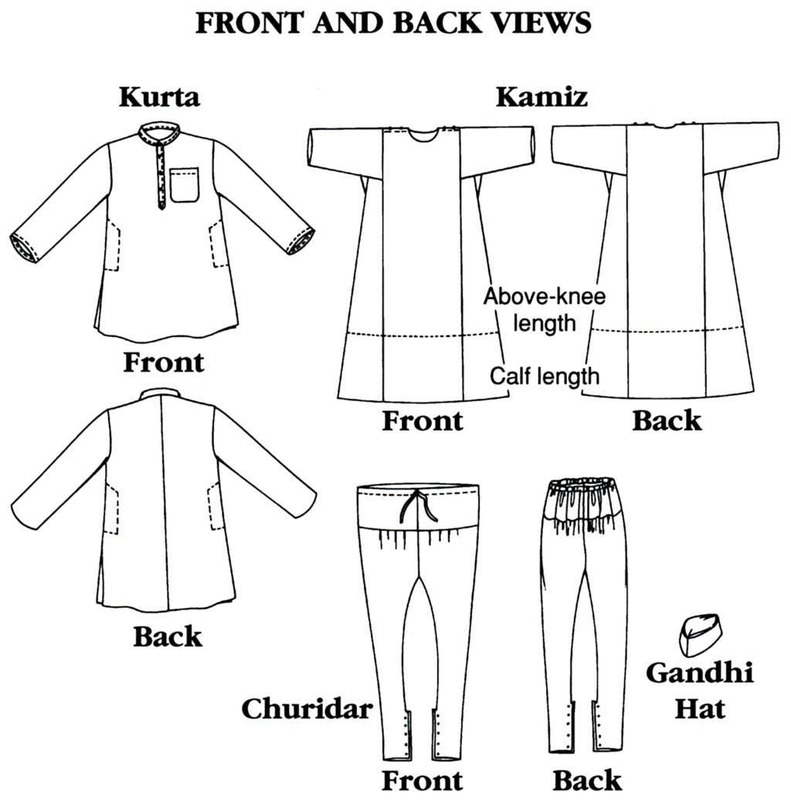 The Kurta, sized here for both men and women, is a mid-thigh, long-sleeved overshirt gently flared from the natural shoulder line, with side slits at the hem, neckband, placket, breast and sideseam pockets. The front and back panels of the elegant Kamiz are perfect for showing off a gorgeous length of fabric or as a backdrop for your favorite jewelry. There are thigh-high slits in the side panels. 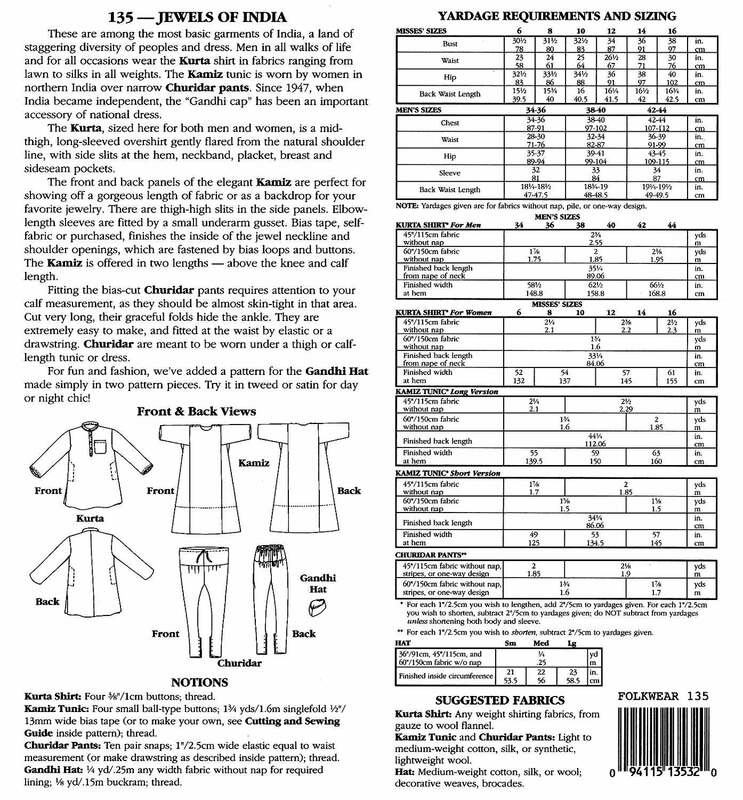 Above elbow-length sleeves are fitted by a small underarm gusset. Bias tape, self or purchased, finishes the inside of the jewel neckline and shoulder openings, which are fastened by bias loops and buttons. Fitting the bias-cut Churidar Pants requires attention to your calf measurement, as they should be almost skin-tight in that area. Cut very long, their graceful folds hide the ankle. They are extremely easy to make, and fitted at the waist by elastic or a drawstring. 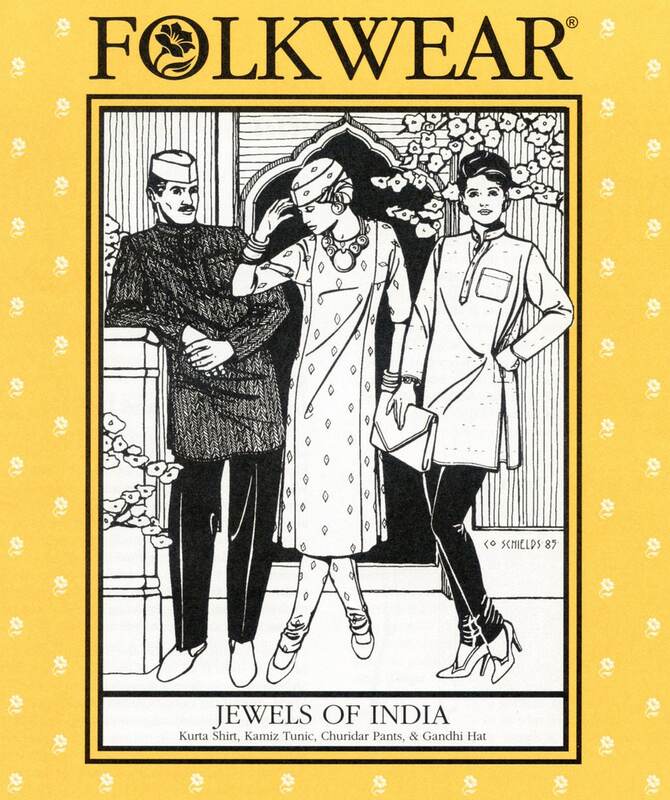 For fun and fashion, Folkwear has added a pattern for the Gandhi Hat made simply in two pattern pieces.